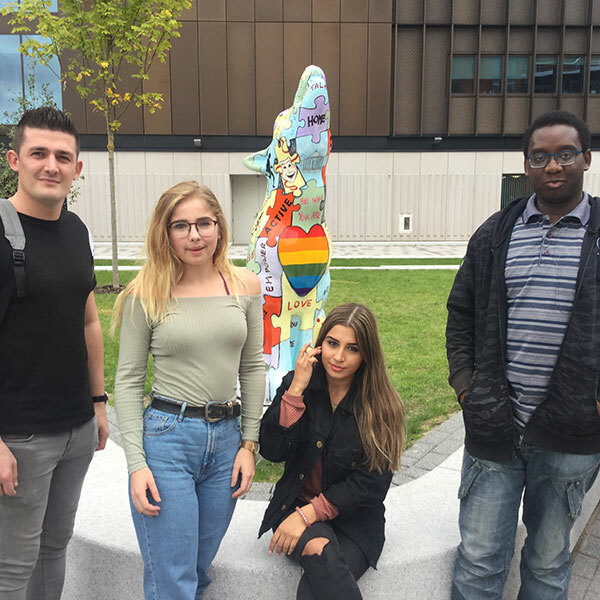 The Higher/Degree Apprentices attended Introduction Days recently along with their employers for an overview of the facilities on offer and to learn more about studying while earning. 84 new students are studying for a range of Degree Apprenticeships in the Faculty of Science and Engineering at the University’s Telford Innovation Centre and Wolverhampton’s City Campus. 32 businesses including Interclass plc, Turner & Townsend, Wates and Atkins Global are taking part in the new Higher/Degree Apprenticeship programmes. Apprentices will be studying for Higher/Degree Apprenticeships in Construction Management (Built Environment, Architecture and Civil Engineering), Chartered Surveying, Civil Engineering, Digital Technologies Solutions Professional, Healthcare Science Practitioner, Manufacturing Engineering and Design and Development Engineering. Michele Roberts, Head of the Apprenticeship Hub at the University, said: “The University has been running its successful Apprenticeship programmes for over a year and we now have 400 Apprentices studying across three of our faculties – with more coming on board this new academic year.